Synopsis Naral Island, a continent with swords and magic in which humans and monsters coexist. The terrible Demon King lives there. In ancient times, the first-generation hero defeated the Demon King. Over the many successive generations since then, the Demon King has been resurrected, and the hero who opposes him has likewise reappeared. 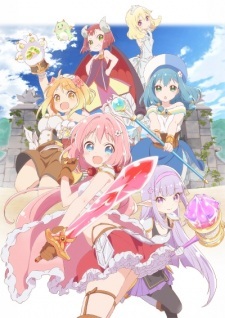 Girls attend a school for adventurers in order to defeat the Demon King when he appears again.